Experience Maritime Maine, in collaboration with the Maine Office of Tourism and the Penobscot Marine Museum, hired Bonneville Consulting to create a regional platform for the promotion of Maine’s maritime heritage. This included logo design and creating a responsive website as well as social media presence. 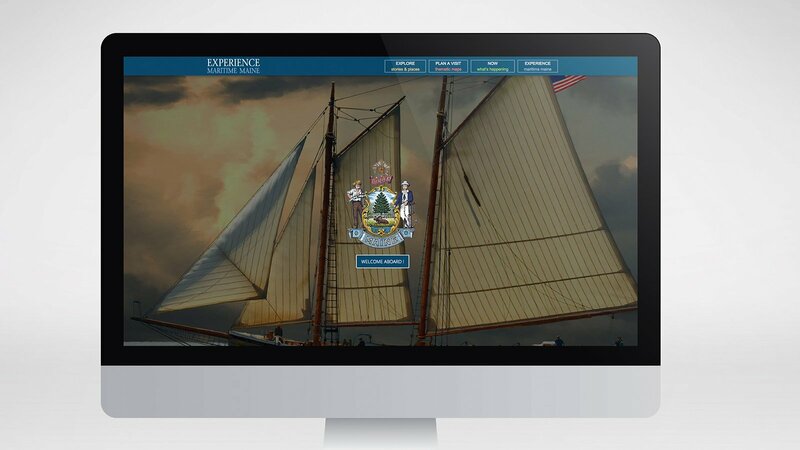 On March 17, Bonneville Consulting unveiled the newly designed Experience Maritime Maine website, social media assets and updated brand at the Governor’s Conference on Tourism, an annual professional development and networking event for members of the tourism industry and other interested stakeholders overseen by the Maine Department of Economic and Community Development. Experience Maritime Maine is a multi-regional initiative in collaboration with the Penobscot Marine Museum, the Maine Office of Tourism, and other partner organizations to encourage tourism by enlivening and strengthening the public sense of the numerous possibilities of maritime-related travel destinations in Maine. BC presented EMM’s updated brand as well as a completely new website, rich with images and functionality including thematic search capabilities, tags and geographical location. EMM’s website is designed as an online magazine. It offers a wide range of maritime stories suggesting places, events and heritage as an incentive for itineraries of Maine coast travel. The presentation of the EMM website was perfectly in line with this year’s conference theme, “Know Your Audience to Craft Your Story”. The Experience Maritime Maine website will serve as a powerful outreach tool for visitors from outside of Maine as well as Maine residents to experience the array of travel experiences surrounding the rich heritage, culture and dramatic natural beauty of Maine’s coast.